Comments: This palmetto grows as a stalkless specimen for a number of years. As plants grow older they begin to form trunks as noted in the image above. 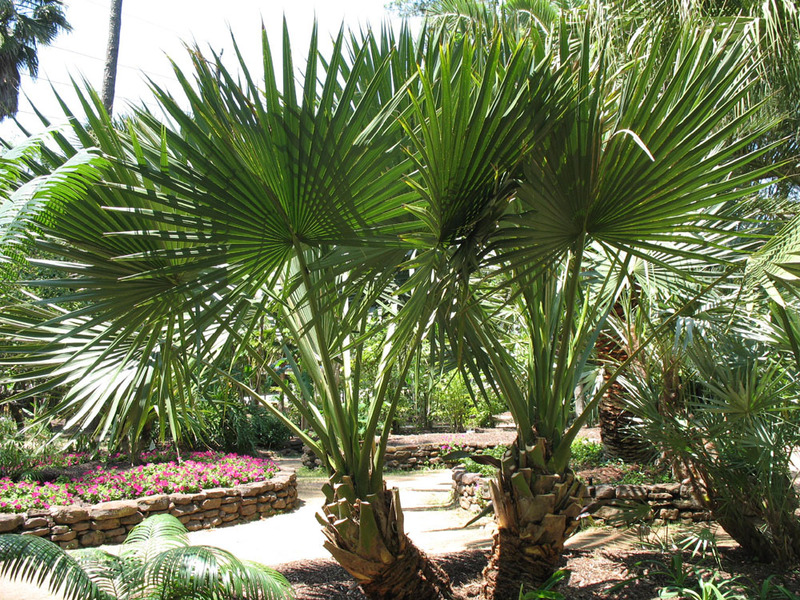 This palm tolerates a wide range of growing conditions from dry soils to wet, poorly drained soils. This palmetto is difficult to transplant because of roots that grow in a more horizontal manner, It is best to purchase container-grown plants.